A tough three-yearly audit has seen Cleansing Service Group (CSG) successfully renew two key benchmarks of excellence. 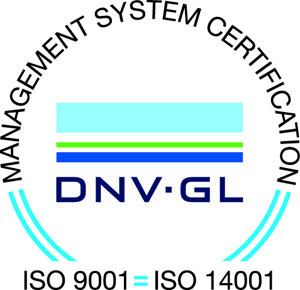 The company has retained its accreditation to ISO 9001 quality management and ISO 14001 environmental management standards. These accreditations provide objective, third-party endorsement of the way CSG is consistently providing services that meet the needs of customers and other stakeholders and managing its business to the highest environmental standards. The company places the highest priority on external assessments of its business performance in many areas, seeking wherever possible to meet and exceed industry norms. As well as ISO accreditations, CSG meets standards for the SAFE Contractor and Contractors Health and Safety Assessment Schemes as well as complying with a range of other best practice schemes operating in a number of specialist sectors and recognised both nationally and internationally. The company is also the proud holder of Investors in People accreditation which is designed to bring out the maximum potential of its workforce and helped CSG to be named Employer of the Year in the 2014 Salford Business Awards. CSG places the maximum emphasis on the health and safety of its staff, customers and the public and is actively seeking to extend its range of best practice accreditations by working towards gaining the coveted OHSAS 18001 occupational health and safety management standard.